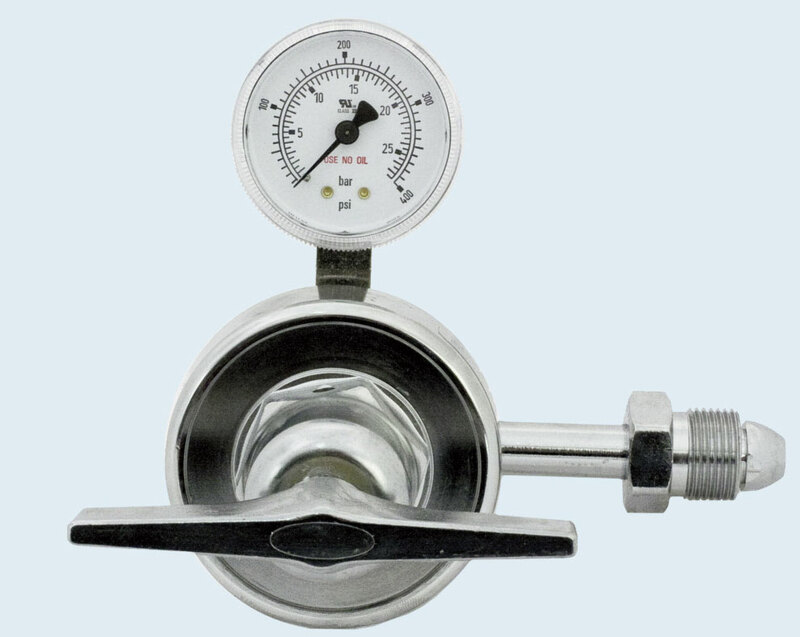 This chrome plated brass single stage regulator is ideal for controlling the gaseous withdrawal from cryogenic containers. The regulator boasts a large stainless steel diaphragm for better control and a 0.37 Cv to provide high flow if required. Available in three delivery pressure ranges, 0-125, 0-350, and 0-500 psig. Maximum inlet pressure – 3000 psig. One-piece encapsulated seat design with 10 micron filter to protect seat from particulate contamination. Inlet is required CGA connection or 1/4” NPT female. Outlet connection 1/4” NPT female. *For line regulator use with 1/4” NPT female inlet and outlet substitute “P4FF” for CGA. 1/4" compression outlet add "T4FS" to P/N.